The Motorola Cliq is a rock solid phone , has an incredibly great design, a brilliant display plus easy to use controls and keyboard. 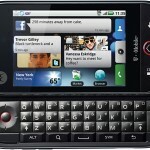 With improvements to the user interface the Cliq has given the Android operating system a big boost. The Motorola Cliq’s promise to deliver social networking is executed wonderfully .Even though it is a little sluggish as far as the hardware goes, yet we can safely say that it is an interesting participant in the Android world. The slider on this phone is remarkably more efficient than others of this type. The keys are rather heavily domed and thus easy to find what you are looking for. The placing of the space bar, Alt, Symbol, Search and Back keys on the keyboard is not comfortable though, for they have a low clearance and hence not convenient for typing. 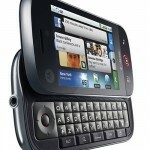 Though Motorola phones have a high reputation where signals are concerned, what is disappointing about the Motorola Cliq is that it cannot pull weak signals It lacks the file manager , camera flash and a few organizer features.Apps can be stored only on the integrated memory while the memory card slot is inconveniently placed behind the battery cover. .It has a great proximity sensor, while the earpiece and speaker phones are quite loud and clear. The display automatically disengages when you’re on call and you hold the phone to your face, springing back to life when you pull it away. The battery life is not too much, what with the phone being used for social networking sites, texting and emailing all the time. The Cliq happens to be all about the socially connected skin called MOTOBLUR that the company has grafted on top of the package. 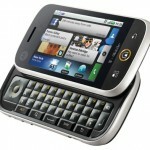 It is in fact Motorola’s version of Palm Synergy, where in an independent set of servers that Motorola owns memorizes all your email and social networking accounts, links them together and helps the user to communicate across services. The flipside to this is that, once you have added your account information, the Motorola Cliq starts syncing all your contacts . What really holds the Cliq back from being truly successful is the processor. It has a decent hardware except the Oreo like keyboard action. The social networking experience is good but the CPU is rather slow making the whole experience weak. The Cliq has two variants, the titanium and the white. Each has a unique battery panel, while one has a three dimensional wave pattern the other has a randomly placed circular indentation on the other. The hard plastic makes it slip resistant but is not very sleek in the process. The ‘breathing light’ that blinks to indicate notifications is also not a desirable feature, with it continuously blinking. The end result is that we are left with a heavy and bulky phone , rather over engineered and thus not very pleasing.